from my MCM Bee buddies! called a tenugui, from my son! from a Melbourne op shop or two! I love those red stars, you are in great bees, the piece from your son is beautiful and that will be a lovely quilt. Love the sampler quit, especially your choice for the sashing and cornerstones. I don't like using solids so the pindot fabric is perfect. I have to check out the Treehouse Sampler Quilt pattern. Thanks for sharing. 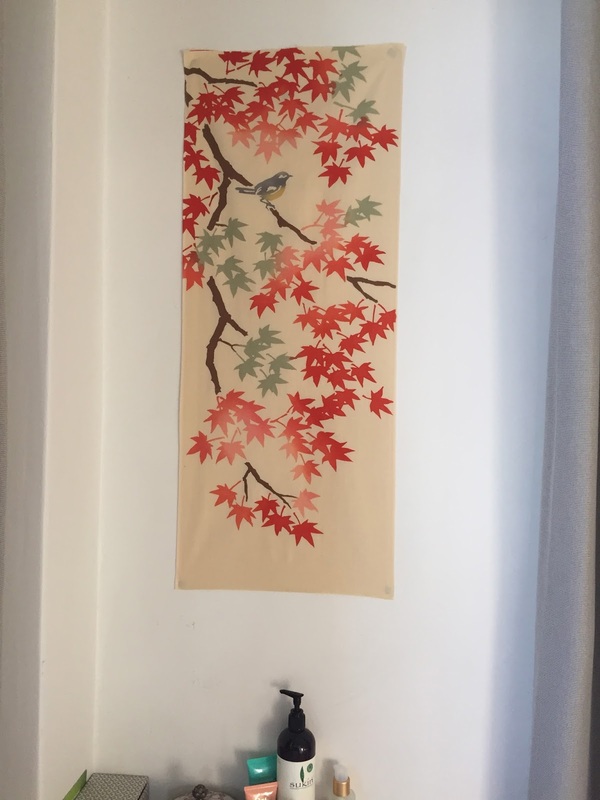 That piece from Japan is beautiful - great vintage sheet find too. Love your red & white blocks! 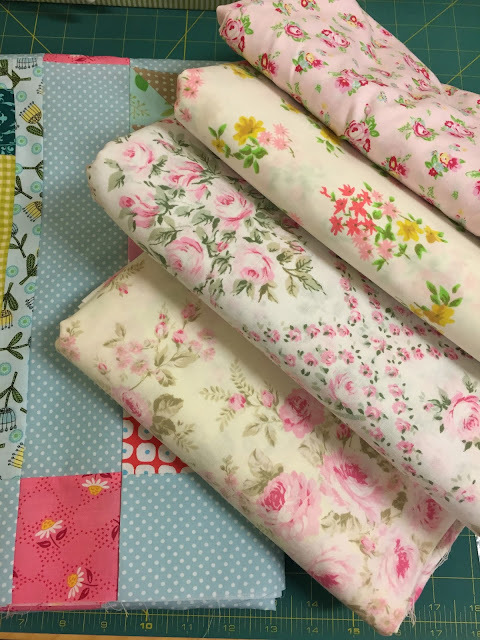 And those pretty vintage sheets were a great find, they will be very useful! Those sashed blocks look so good together and the red and white blocks look promising too. Your son has good taste in tenugui. Ohhhh! Love Helens quilt top! And your sampler will be so striking with the red and white! My block is on its way! Your Christmas runner is going to be a beauty! 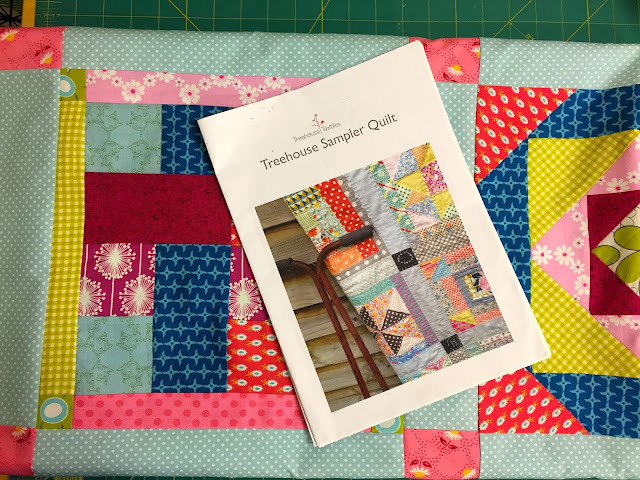 I love the Treehouse Sampler quilt. What fabric did you use for the sashing? It sets off the blocks so well. The Tenugui from Japan is beautiful. Is it a printed pattern or woven into the fabric? What a wonderful mixed bag of fabric goodness!! Your son has great taste in gifts. I don't know where you find the time... or the energy! So many great projects here. 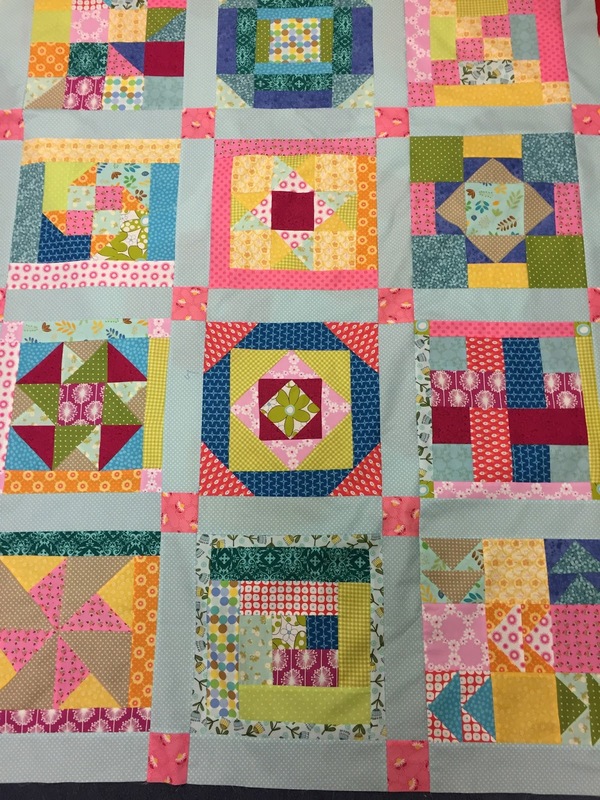 It's great that you're going to end up with a red and white quilt, and one with such a pretty block. Every quilter loves them. Your op shop vintage sheets are much nicer than mine. I have sheet envy!